It wasn’t that long ago that the realm of streaming and capturing console gameplay was a new concept for the every day gamer. One day a friend of mine introduced me to a mystical piece of hardware that would supposedly allow me to record all of my gameplay and have that stored on my computer. This was none other than the Hauppauge HD PVR. You see, at the time, game capture, at least for console gamers, was largely unheard of. Therefore any kind of video capture out there was better than nothing. If you wanted to stream or record gameplay you had to deal with the HD PVR and all of it’s shortcomings – jumping over all kinds hurdles. Over time though, a quiet noise emerged and began to grow, slowly at first, but then in bouts and fits. Eventually that noise grew to rival that of the Hauppauge. That noise? The Elgato Game Capture HD. I met with the cats at Elgato during my trip PAX East and got to talk to the developers first hand. After hearing my complaints about the HD PVR, namely the software, they swiftly responded informing me that I would have no such issues with their product. And they certainly weren’t lying. You see, the Game Capture HD works with a relatively simple system. All you need to do, is plug the USB, which doubles as a power source, into your computer to record, hook in either the component cables (it comes with an adapter) or an HDMI cord, and then use the packaged HDMI cord to send the video to your TV. It’s a really simple system that isn’t bogged down by a tremendous amount of component cables unlike the HD PVR. On top of that, it’s also small enough to fit in the palm of your hand, saving you precious desk space. While the Game Capture is marketed as a device meant to record console gameplay, it can also record PC games as well, though you do have to jump through some hoops to do so. Because the software records on your PC (or Mac) monitor, Elgato’s website recommends that you use a dual monitor set-up (or you can just use a television) and game on one while recording on the other. So technically, it’s above average when it comes to recording gameplay, but that’s not even where it shines the brightest. The built in software that it comes with makes your life immediately more manageable. Not only can you record both audio from a separate microphone over the game as you play it, but you can stream straight to Twitch.tv. No longer do you need to do some kind of dance with XSplit and jury rig your way to success. 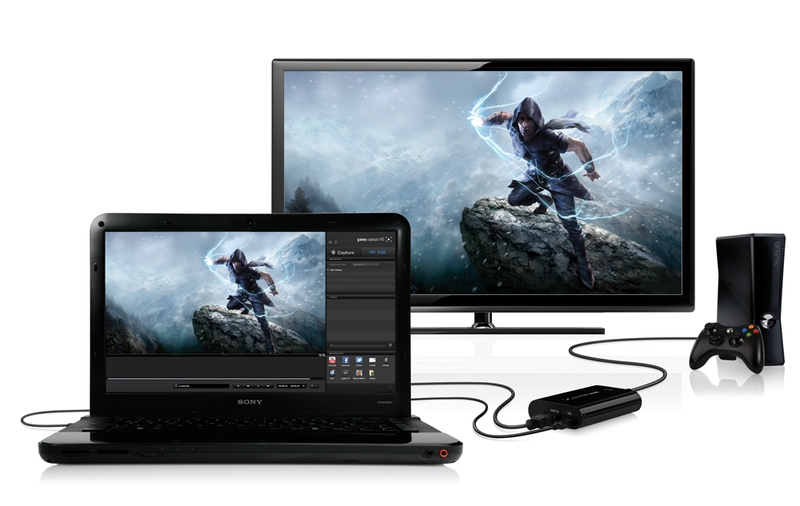 Elgato easily accommodates you in the manner that you want. Even though it will set you back $180, you really couldn’t ask for much more on the software side. Not only can you name, tag, and add descriptions to each video as you record it, but you can even do some editing on the spot if you’re interested in doing so. All of this makes the Elgato Game Capture HD one of the best buys on the capture card market right now. Since hardware is no longer an issue in the long run, software is where these kinds of things will begin to shine. So if you’re thinking of purchasing, I promise you that there’s no reason to be skittish. A review unit of the Game Capture HD was provided by Elgato for review purposes.